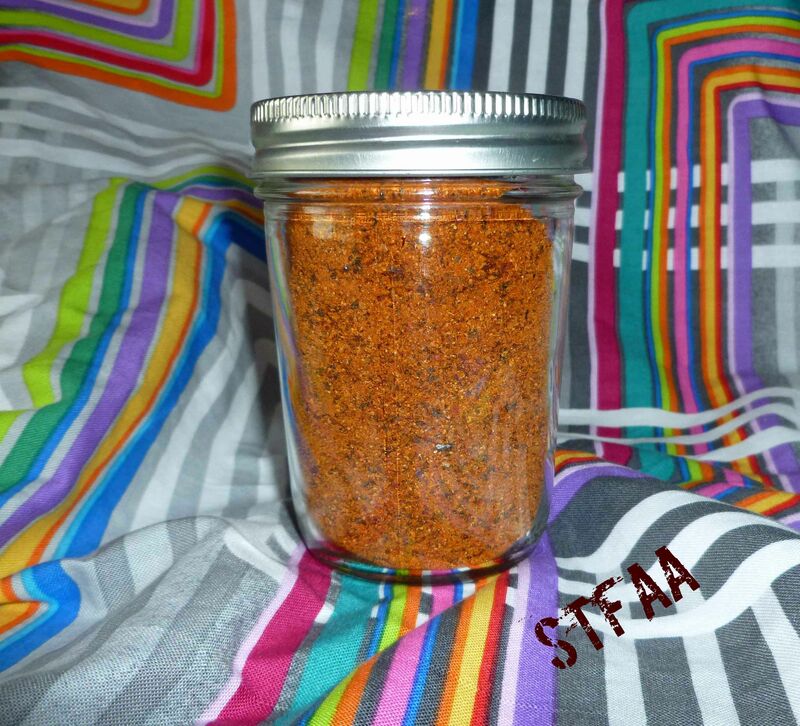 If you’re like me (okay, probably not, as I have issues as outlined in my post, WW Kitchen Stories: Rosemary or Denise’s Spice Issues), you might have a few dried chiles kicking around. Or more than a few. Since I have so many, and since I was running low on chili powder, I started looking into how to make it. Although Mary S. of the green thumb gave me some chili powder that I tolerate after I mentioned I might do a Penzey’s order, it’s good to be able to make your own so that you know that there’s no anti-caking agents, disclosed or undisclosed, and less chance for cross contamination. 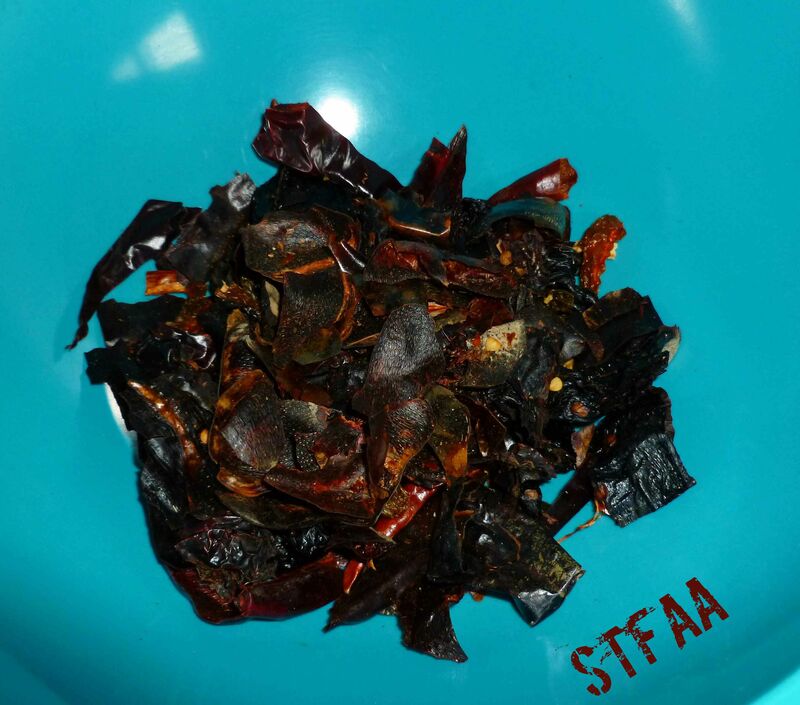 Plus, I really have a crap ton of whole dried chiles, thanks in part to the harvest I got from Mary S. last year that I dehydrated. Although this might be a bit spicier than your normal chili powder, I tried to keep it in the realm of reasonable for those of you who are not fire breathers. 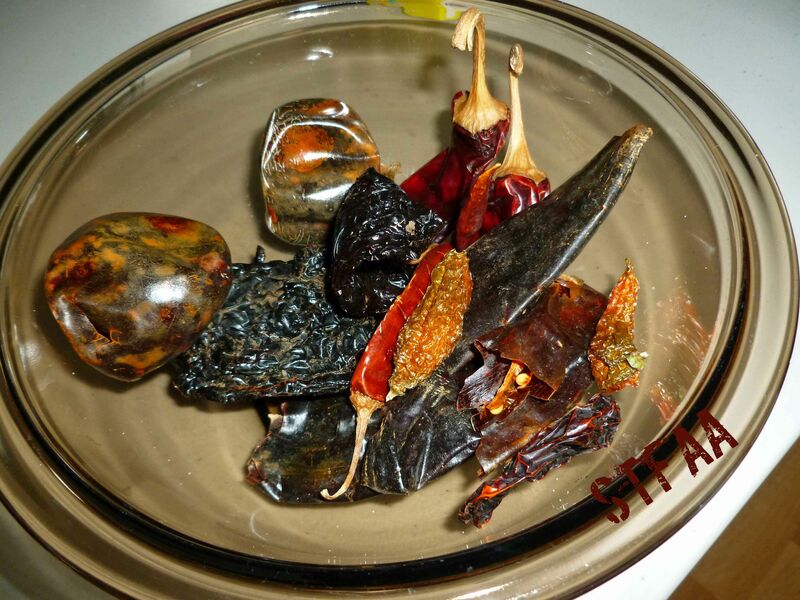 Feel free to switch out dried peppers based on your own tastes and/or what you have on hand. You will need a blender or a food processor. 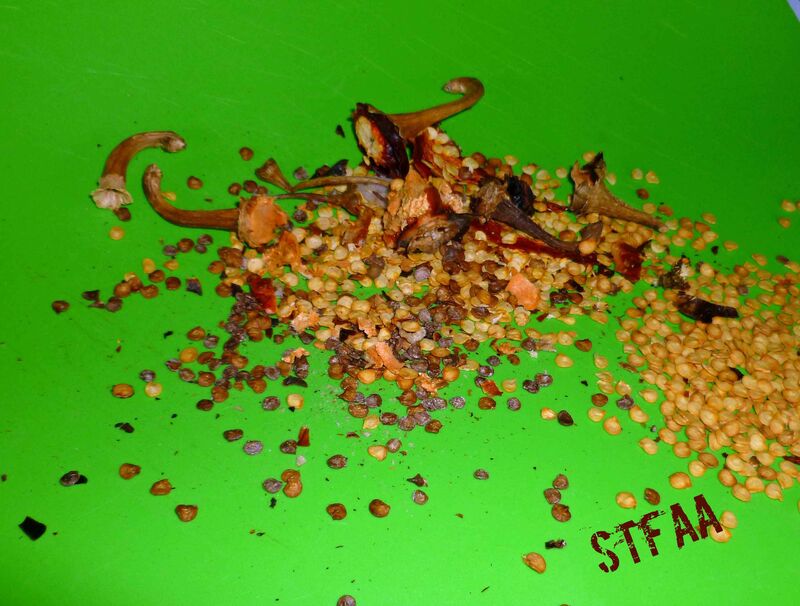 Destem, seed, and slice the dried chiles. 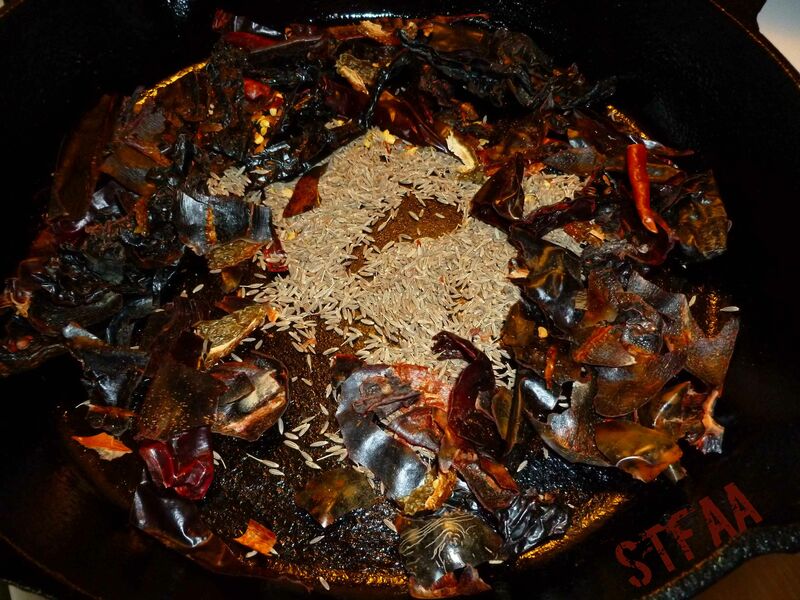 Place the dried chiles and the cumin seed in a skillet over medium high heat. Move the skillet around constantly to shift the cumin seed and chiles until you smell the cumin seed toasting. 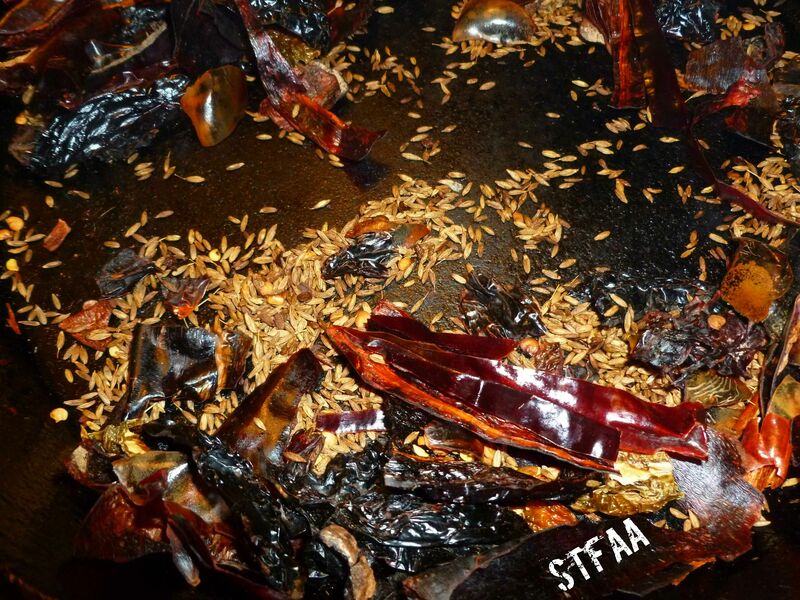 Remove the chiles and the cumin seed from the skillet, and allow them to cool completely. 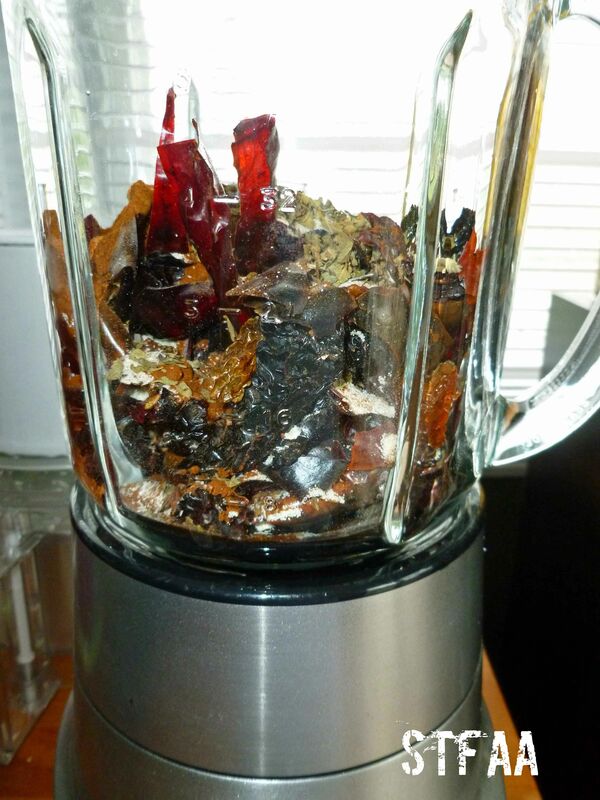 Once cool, place the chiles, cumin seed, garlic powder, oregano and paprika into a blender or food processor. 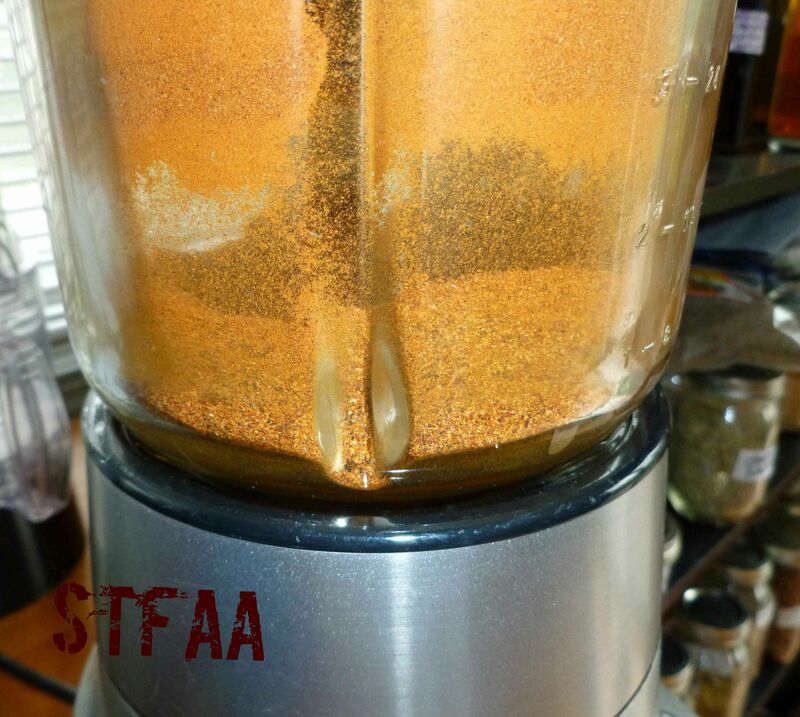 Blend or process until you have a fine powder. Before opening the blender or food processor, let the powder settle for a few minutes. You really don’t want to gas yourself. 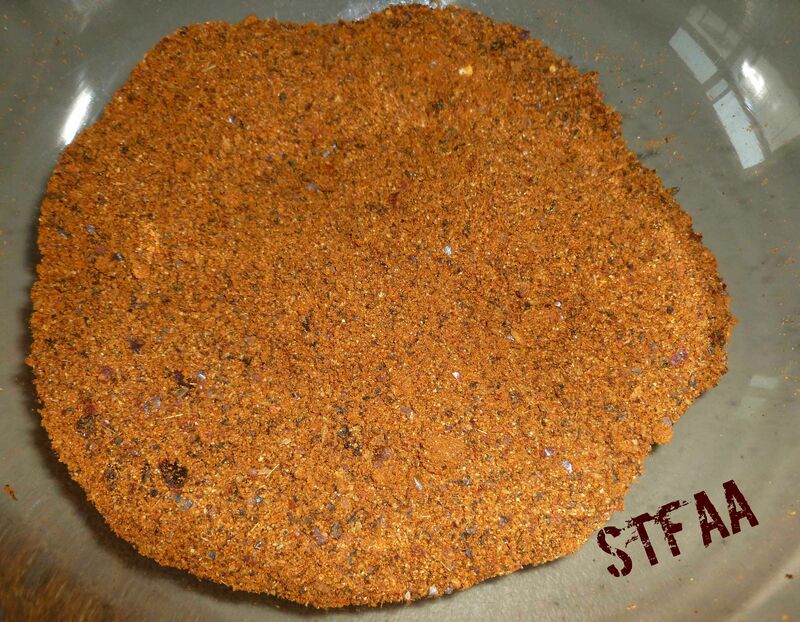 Store your chili powder in an airtight container, and use as you would normally use chili powder.